On the fence about converting your kitchen to open shelving? Take this short quiz to see if it's right for you and your family. Are you generally an organized person? Definitely. I organize everything and have no problem putting things back where they belong after use. Explanation: Good organization habits are key factors in pulling off open shelving for the long haul. Without good habits, your shelves will look messy and cluttered. Not so much. I try to organize when the mood strikes, but I'm not that great at keeping up with it. Are the other members of your household organized as well? Yes, they do their part to put things away and keep the house tidy. Explanation: Remember, you aren't the only one using your kitchen. Family members need to be on board with the new shelving and committed to keeping them tidy. Um, no. I'm constantly cleaning up after them. They leave shoes by the door, cups on the coffee table, and empty toilet paper rings on the holder with a new roll just sitting on top. How do you feel about cleaning duty? I don't mind to clean. It's not my favorite thing in the world, but I know it has to be done. I keep my house clean and tidy, even when I don't really feel like doing it. Explanation: Now that your stuff is out in the open, it's going to be exposed to dust, grease, and pet hair. You'll need to make sure you rotate through your dishes and give infrequently used items a quick wash before use. You'll also have to set aside time every month to three months to clear off the shelves and wipe them down. Cleaning is definitely a chore. I do it when it needs to be done, but I'm not going out of my way to take the clothes out of the dryer immediately. They may even hang out in there for a few days so I can avoid putting them away. What's more important to you in a kitchen- function or beauty? I'm all about functionality. Making meals for a family is tough, so I need a hardworking kitchen that makes meal prep easier. Explanation: Open shelving is both functional and beautiful, as long as you do it right. Your main priority needs to be functionality, because if you focus more on how the shelves look, you'll end up sacrificing a lot of usable space. Make sure you use the shelves for pieces you actually use in your kitchen, and not just display pieces. Those items never move, meaning they'll accumulate a lot of gross stuff, which can transfer to the dishes you really do use. How do you feel about your current kitchen pieces? I have attractive dishes, nice-ish cookware, and not an abnormally large amount of excessive kitchen items. Explanation: Like it or not, your pieces will be on full display and can't be hidden by the doors you're comfortable with now. Whether you plan to rock the stuff you've already got or shell out the cash on new pieces, this is a big deciding factor on your final choice to move towards open shelving. I have a mix of hand-me-down dishes and glasses, the pots and pans I bought for my college apartment, and a ton of gadgets I'm eventually going to use. Open shelving isn't off the table, but it may not be what's best for you right now. You may need to improve your organization and cleaning habits, as well as your family's. But don't let that discourage you! Open shelving could be just what you need to break those bad habits. The responsibility of keeping them neat and organized may give you the kick in the pants to get better. Still interested in converting to open shelving? Give it a test run! This weekend, remove your cabinet doors and declutter the shelves. Give it a month and see what you think. 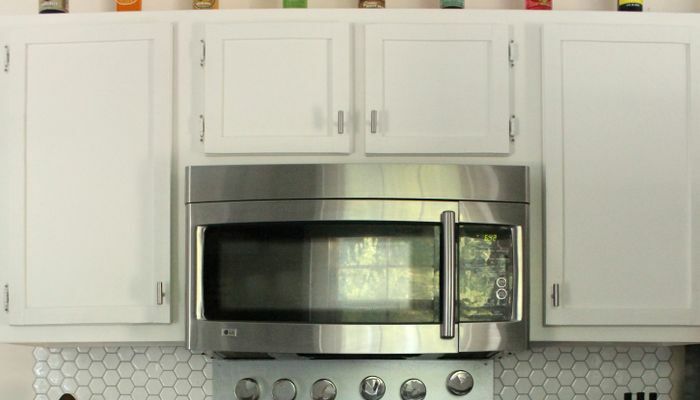 If you love it, take the next step and make open shelving permanent in your kitchen. If things don't work out, just pop the doors back on and go back to the easy breezy life you had. You're neat and organized enough to pull off open shelving and rock the look in your kitchen. You know that open shelving requires you and your family to keep things tidy, dust more often, and rotate dishes frequently. You also know that open shelving improves the functionality of the space. Give it a test run! This weekend, remove your cabinet doors and declutter the shelves. Give it a month and see what you think. 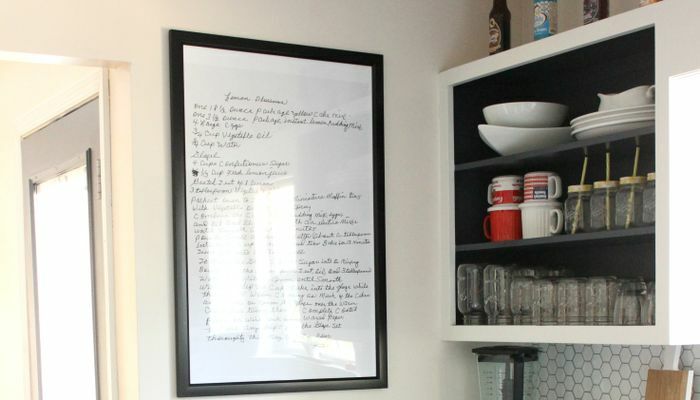 If you love it, take the next step and make open shelving permanent in your kitchen. If things don't work out, just pop the doors back on and go back to the easy breezy life you had.